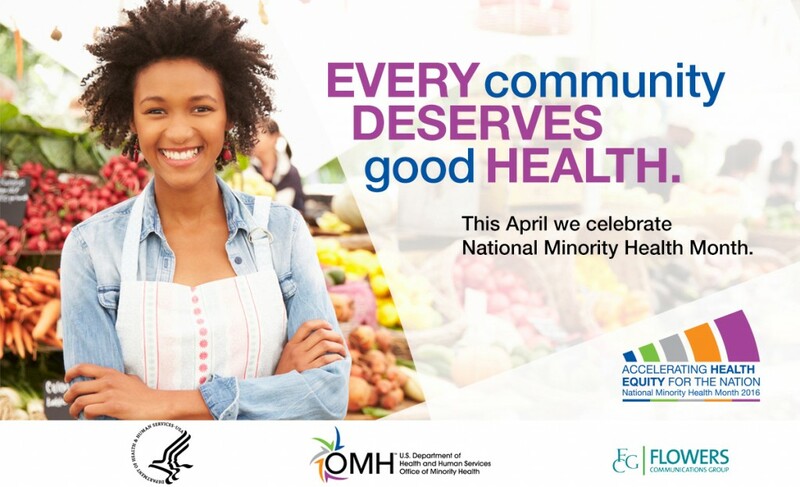 April is National Minority Health Month. Several of our clients have created health awareness programs to help shed light on the disparaging health statistics that ravage multicultural communities. Did you know diabetes and heart disease affect minority communities in greater numbers than white communities? Diabetes has been in the news most recently given the deaths of A Tribe Called Quest’s Phife Dog and radio icon Doug Banks who were taken from us way too soon. Diabetes has also been a disease in my family with both my paternal and maternal grandmothers having Type 1 and Type 2. Working in a fast-paced industry like integrated marketing, it can be hard to fit in consistent exercise. And with pizza parties, constant travel and late night work sessions, even harder to eat right. It requires planning and determination. I have always been health conscious given my family history, but as I get older, my health becomes even more important to me. If you don’t have your health, it makes it harder for you to function at your best, have a productive work life, and certainly an enjoyable personal life. Below are some tips that I try to incorporate to maximize my health. • Push to exercise at least three times a week and if not three, one is better than none. Alternate with cardio, weight-lifting, yoga, bike-riding, walking outside for 30 minutes. • Rely on technology for reminders and shaming (if that’s what works). I allow my Apple Watch to tell me if I’ve reached my daily stand goal and walked for at least 30 minutes doing daily tasks. • Plan out your meals for the week and if that’s too much, at least plan out the snacks. I keep a bowl of grapes on my desk as well as other fruit like oranges and bananas to snack on between meetings. • Get your sleep. I learned early on from one of my elders that sleep (and regular yoga) is the fountain of youth…sold! Arianna Huffington’s book The Sleep Revolution is getting people’s attention. • Drink water. Early and often. • Practice self-care. Take a spa afternoon, read a book of fiction, or develop a meditation practice. Whatever helps your health flow, do you! How do you stay healthy and keep your game up? Share your examples using at #exploreFCG or tweet me @ccsteed.